The 2016-2017 school year is finally over (as of June 28), and I’m now in the Brandeis teacher leadership program summer component for most of July. This year has been incredibly rewarding in terms of growth as a teacher and as a leader, but I haven’t quite figured out how to reflect on that growth or figure out how to just sit down and write! Changing habits is an interesting beast. The “run at 5:30 a.m. on weekdays” habit finally gelled for me this year, when I tricked myself into running before work so that I could hang out with my husband and son after work. That habit wasn’t as difficult to start as some others because I’ve been running since 1995, so I had some subconscious muscle memory going there. This year I finally wrote my first DonorsChoose project proposals after years of thinking “no one will fund that” or “I don’t have time to write that.” Turns out that encouraging words from a few colleagues and promising one that I’d pay him $5 if I didn’t post by the end of the day finally got me to do it. So, it’s time to trick myself into blogging and tweeting regularly (likely by telling friends “I’ll give you $5 if I don’t write this blog post”). 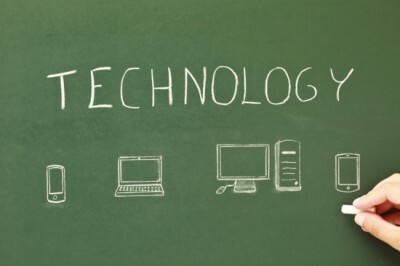 I often store ideas in Evernote and say “I’ll blog about that” but then abandon it in favor of lesson planning or teacher leadership work, so here goes! fingers pressed it, still it bent and yielded to my will. early impress still it bore, But I could change the form no more. with my power and art, A boy’s soft and yielding heart. impress still he bore, And I could change him nevermore. 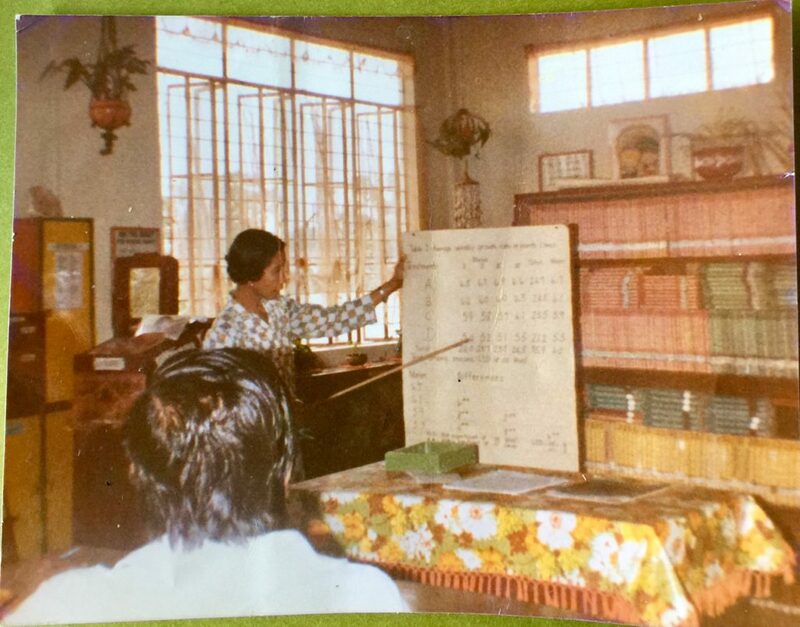 We don’t have any pictures of my grandfather Romulo teaching, but my dad sent this 1982 picture of my aunt Betty (one of his six siblings) who became a teacher. Parker’s been to my 106-year-old school (as an infant during my 2015 maternity leave), so he’s used to visiting historical school buildings. I hope that one day he could also see the schools in which his great-aunt and great-grandfather taught (if they still exist), and to see the fruit trees from long ago. One of my Brandeis classmates told me “we can’t turn our kids into what we want. They already have personalities and temperaments. We can get to know *who* they are.” Parker is still in the “moldable” clay stage and I look forward to learning what kind of learner he will be. As I head into the second week of my teacher leadership program, I hope to retain some of that moldable quality and keep an open mind for my tenth year of teaching. I love that note from your dad. I am so thankful there are teachers like you out there and can’t say it enough that I hope my future children get to have someone like you! I can’t wait to see who Parker is and how he changes as he grows too! Thank you! I am hoping to be an “inquiry-based” mom rather than a tiger one when Parker gets into elementary school…it will be hard to break habits of my own childhood in spite of changing my teaching.